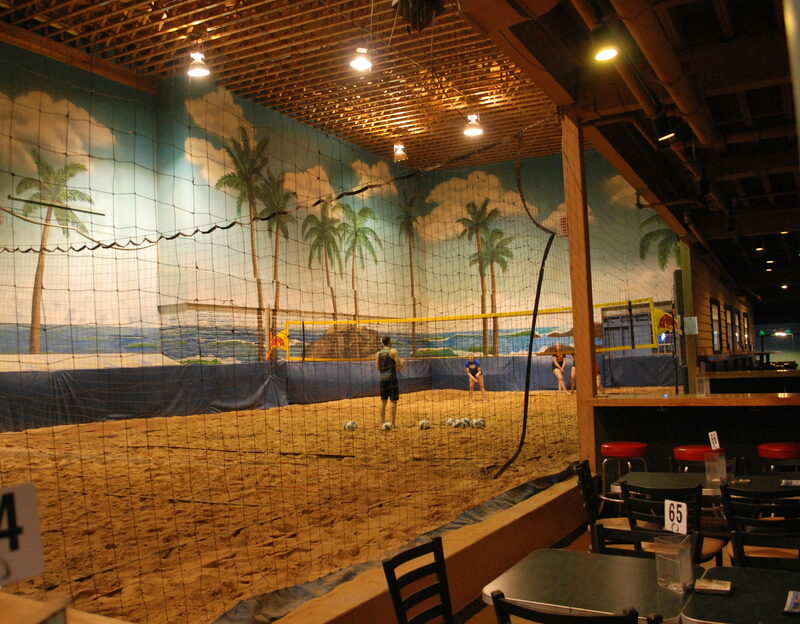 Downers Sand Club Sports Bar & Grill is THE place to be for suburban sand volleyball. From leagues to corporate events to open court play, we have exactly what you are looking for. Have a birthday and want to have a volleyball-infused party? We got you. 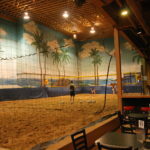 Does your company want a private outing full of food, drinks, volleyball, and fun? We got you. I think you get the point. If you like having fun, we got you!! 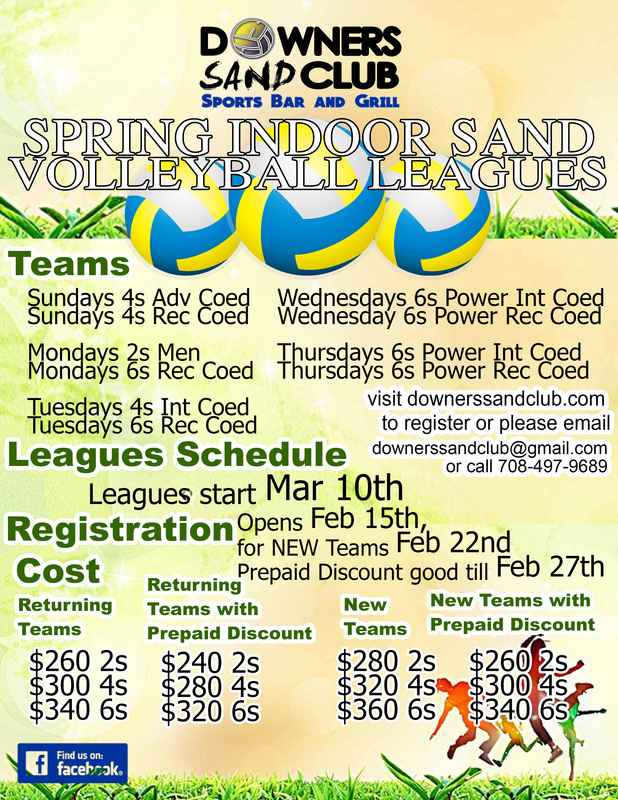 Downers Sand Club is handling the Indoor Sand Volleyball leagues Sunday thru Thursdays.